Who Benefits From Renter’s Insurance? Having insured residents in your community is a win-win situation for management and residents. Accidents happen. Fire, theft, and water damage losses occur that damage both the apartment owner's property and the residents' personal property. 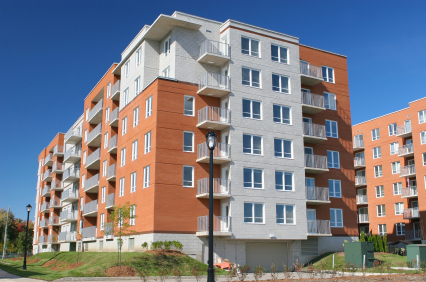 Many residents mistakenly believe that the apartment building owner's insurance will pay for their loss. This misunderstanding can hurt your business reputation and lead to unwanted legal expenses. Residential apartment owners and management company operators have been increasing their property insurance deductibles as a way of controlling insurance costs in their business. Property owners rely on the resident indemnity agreement and insurance requirement of their lease to pay for property damage caused by tenant negligence and mitigate losses. However, this risk management tool is only effective if the renter actually has insurance. The majority of apartment renters do not. A renter's insurance policy is designed to respond to both your resident's property loss and your loss resulting from negligently caused damage to apartment property. Deans & Homer pioneered community-based renters insurance in 1982. The program was designed for professional property managers as a way to respond to the problems presented by uninsured residents. Deans & Homer can provide a high quality renter's insurance product with expanded legal liability protection for all residents at pre-approved apartment communities. Additionally, it has developed a system to help you monitor compliance with the insurance requirements of your rental agreement. This puts the management back into your risk management program and keeps residents happy at your community. Deans & Homer's renter's insurance is available through the Sirius America Insurance Corporation, the Fidelity and Deposit Company of Maryland, and the Aspen American Insurance Company. Renter's insurance is available in most states. Provides renter’s insurance coverage on a broader form than the standard HO-4 contract. Coverage is pre-approved for all residents of participating communities. Fire legal liability coverage for negligently caused damage to the rented apartment has been expanded to include water damage as well as fire, smoke, and explosion. Liability limit of $100,000 is standard with option to increase to $300,000. Resident property limits options from $20,000 to $50,000 with options to increase limits for jewelry theft to $5,000. Deans & Homer works directly with the resident to provide policy information, policy issuance, billing, and claims services. Communities must include 100 or more apartment units, with a paid manager on site. Facility age should not exceed 20 years without substantial updating. Lease or rental agreement provisions must require residents to be financially responsible for their personal property and property damage caused by their negligent acts. All residents are given the opportunity to participate in the program. Communities must be well maintained and professionally managed, with no special hazards. Gated security or other community protection measures may be required in urban areas. Deans & Homer inspects and certifies each community. All residents of a certified community are eligible to purchase insurance. Residents may purchase insurance quickly and easily online at www.insureyourstuff.com. Residents who do not have access to the internet can use an insurance election form that can be printed in the community’s rental office. An insurance tracking and reporting system is available through the website. Deans & Homer Renters Program staff provides training for rental office staff and managers on how to use the website. Continuous training support is available through our customer service line. If you have clients who would be a good fit for this program, contact us at (800) 548-1616 or email renters@deanshomer.com. Copyright © 1998-2019 by Deans & Homer. All Rights Reserved.